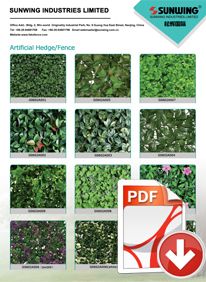 Where have you seen the artificial hedges most frequently? In restaurants, shopping mall or private garden? Today, I’d like to introduce you another place that the hedges can be used, that’s for property development. The two pictures above are from the feedback of our customer. 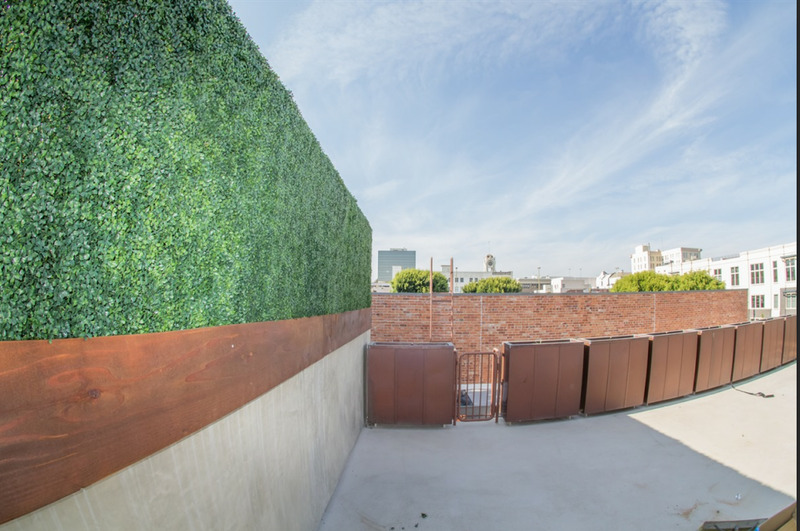 From the pictures you can see that the artificial hedges give the exterior of the building a new look that attack more people to stay~~ And, the color of synthetic foliage is copy from the nature color which is very popular among our customers. Do you like them? Also, from the second pic you can see that we add some artificial branches on our hedges that make our hedges more vivid and make the building more fashionable, good for property development. As our hedges use 100% new fresh material and have UV protected. So the warranty of our SUNWING hedges is 5 years indoor and 3 years outdoor, so you don’t need to worry about that it will fading in a short time. Also, considering safety we can also add fire-resistant material if you need when you use the hedges indoor, all your requirement we will try to meet them. Those pictures above are all the outdoor decoration, I’d like to share some interior decoration with you too. 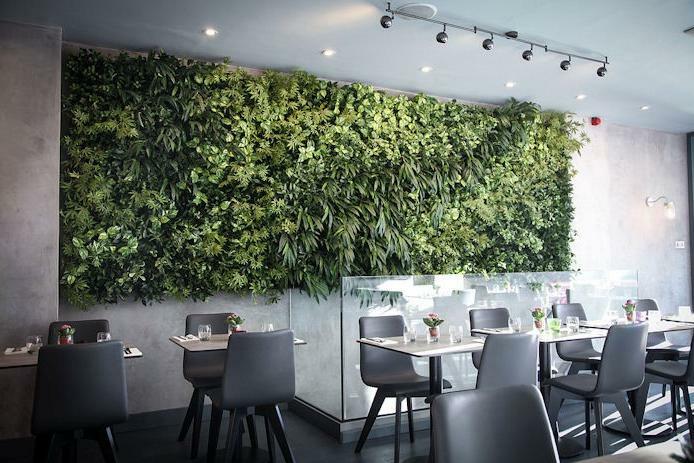 Above is the interior design of the restaurant and the wall on the photo is made of different kinds of synthetic foliage. If without these indoor plants, the environment of the entire restaurant will be very deserted. At the same time, it will bring a good mood to the people who eat in this restaurant. Indoor plants are still very necessary for interior design. Indoors, usually without sunlight, so if you use real plants, it is not conducive to their growth and it will also affect the interior environment if the plant withers. But artificial plants do not have this problem. You just need to buy them home, then design and install. It doesn’t matter even if you are not capable do the interior design we have our own design team to tailor it for you. For installation, have you ever had problems on such things? But don’t worry if you use our hedges, we can offer you installation manuals to help you to install. For property development, quality is very important. At present, our factory has passed the ISO 9001 international quality management system and ISO 14001 environmental management system certification, and the products have also passed the international market certification requirements. We can assure you the best quality and after-sale service, would you like to try to order some from us? Lastly, If you want to know more about our products and design, please visit the following two of our websites. You can see our own design pictures and hot-selling artificial plant styles from them. The most important thing is, dont forget our phone number: 86-25-84681768. Please feel free to contact us if you have any needs and query. Thank you.